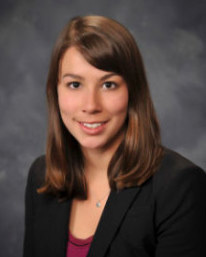 Clare Capaccioli Velasquez is part of the firm’s litigation team. Ms. Capaccioli Velasquez’s experience includes representing 45 families who were victims of PG&E’s natural gas transmission line explosion in San Bruno, on September 9, 2010, and she currently represents over 50 families who suffered losses as a result of the 70,000 Butte Fire in September 2015, which was started by PG&E power lines. Her developing practice includes complex and general civil litigation, in the areas of business, personal injury, and trusts and estates law. Ms. Capaccioli Velasquez earned her B.A. in Economics at the University of Southern California. While at USC, she was a member of the Trojan Debate Squad, and represented USC at many national competitions and public events. Ms. Capaccioli Velasquez graduated from the University of San Francisco School of Law. While in law school, Ms. Capaccioli Velasquez earned her Business Law Certificate, was on the Appellate Advocacy Team and worked for a San Francisco law firm in the field of business litigation.